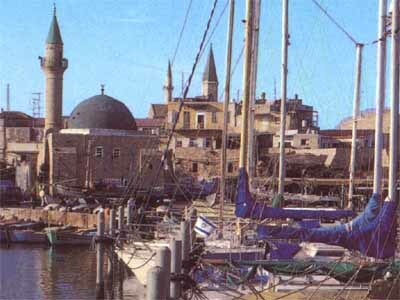 The Old City of Akko was designated as a UNESCO World Heritage site in 2001. According to legend, a bulldozer working on the street pavement chipped a corner off a Turkish building and sand poured out. Archeologists arrived and, as tons and tons of sand were removed, a huge and magnificent crusader hall, with three massive columns in the center supporting a cross-vaulted ceiling, was revealed. A part of the kingdom of Israel, Acre was incorporated into the empire of Alexander the Great after his conquest in 332 B.C.E. The city was subsequently seized by the Egyptian king Ptolemy II, who renamed the city Ptolemais in the 2nd century B.C.E. This name stuck until the Muslim conquest in the 7th century CE, when its ancient name was restored. Confusion over what to call the city was compounded by the Crusaders' conquest in 1104, after which it became known as St. Jean d'Acre, or Acre for short. In 1291, the Mamluks invaded and destroyed the city, killing every remaining Crusader and putting an end to the Latin Kingdom. 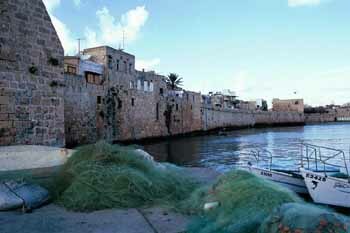 Acre ceased to be a major city for almost 500 years. When the Bedouin sheikh Daher el-Omar carved a small fiefdom out of the Ottoman Empire in the mid-18th century, he made Acre his capital and built a large fortress. It was subsequently fortified by the Turkish governor (1775-1804), Ahmad Pasha al-Jazzer ("The Butcher"). The mosque al-Jazzer built is one of the most beautiful in Israel and the most distinctive building in the old city. King Richard I of England (1157-99), took Acre in 1191 from the Saracens. He executed 2,700 Muslim prisoners of war; nevertheless, because of his "valorous" behavior during the Crusade, he became known as Richard the Lion-Hearted. Napoleon landed in Palestine and assaulted Acre in 1799, but he was unable to take the city. His Middle Eastern campaign subsequently collapsed and he withdrew to France. Acre fell under Ottoman control until the Turks were defeated in 1918 by the British. The city subsequently became part of the British Mandate for Palestine. The British used the ancient fortress, which had never been breached, as a high-security prison to hold (and execute) members of the various Jewish underground groups. On May 4, 1947, members of the Irgun staged a dramatic rescue (dramatized in the film Exodus). Though few Jews escaped, the audacity of the raid was a serious blow to British prestige and a tremendous boost for the morale of the Jews. Today, the fort is the site of the Underground Prisoners Memorial Museum, which depicts the history of Acre and the prison. You can go into the death cell where the condemned were kept and the gallows where a noose still hangs above an open trap door. On May 17, 1948, shortly after the Arab invasion, Israeli troops took control of Acre and most of the Arab inhabitants fled. It was subsequently incorporated into Israel after the War of Independence. Check out Khan El Umdan, the 18th century structure where camel caravans once brought grain and produce from Galilee to the market. The name means "inn of the pillars," for the fine granite Herodian pillars brought from Caesarea to support the structure. The clock tower is a much later addition, built in 1906 in honor of the Turkish sultan Abdul Hamid. Across from the mosque is the entrance to the subterranean Crusader city. You can walk down to different levels and see how the Turks built on top of the old city. One of the more spectacular rooms is the Knights' Halls, which the Hospitallers, the Order of the Knights of St. John, used as a fortress more than 700 years ago. Today, the main hall is used for concerts. 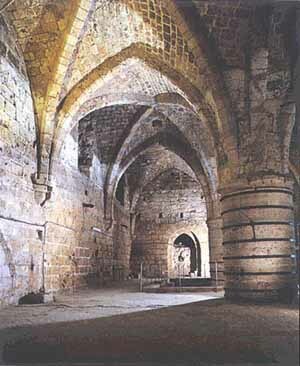 The lowest level is the Crypt, a great hall that may have been used for great ceremonies by the Crusaders. Elsewhere in the city is the home of Baha Allah, the prophet of the Baha'i faith. His tomb is in a park just outside of town along the Acre-Nahariya road. As in the headquarters in Haifa, the grounds have spectacular gardens.